This is a production made/screen used ten pound note from the Doctor Who episode 'The Runaway Bride'. 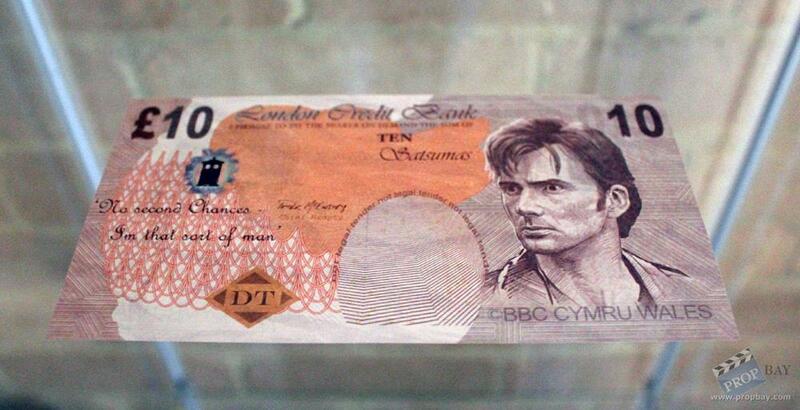 There is a picture of David Tennant on the note instead of the Queen's head along with other minor changes to include a Tardis and the quote, "No second chances - I'm that sort of man". The note feels like real money and have been made to a high quality with the same image on both sides and copyright BBC CYMRU WALES. Added: 03-05-2014 - Viewed: 1361 times.